It is sad to find the Ecclesiastics of CSI showing scant regard for the law of the land and the constitution of the Church. They seem to have become law unto themselves. In John 8:44, Jesus refers to his opponents as children of the devil and then goes on to describe the devil as a “liar and father of lies”. Of course this refers to their behaviour of obscuring the truth about Jesus Christ. But how would we understand the behaviour of the Moderator of the Church of South India and his fellow Bishops, if they grievously error on the side of falsehood questioning the very existence of a God who watches over us and our behavior? It is with great dismay that these instances of grievous moral turpitude the Moderator of CSI are brought to the public. The Moderator had not only acted fraudulently to subvert the judicial system but also made a mockery of the democratic process in the dioceses. The Addl. District & Sessions Judge, Miryalaguda, (Telangana State) issued an injunction in I. A. No. 340 of 2015 on 6th April 2015 restraining the Moderator and the Synod officers from making the proposed amendments to the present constitution of the CSI till 15-04-2015 when the matter would be heard in detail. The proposed amendments pertain to increasing the retirement age of the pastors and thereby that of the bishops from 65 to 67, extending the term of a Synod from 2 to 3 years and also taking away the democratic system of electing officers of the Synod and Dioceses. However, without giving scant regard for the injunction/the judicial order and the law of this land, the Synod met on April 8 and 9 and passed the amendments to the constitution. The Synod General Secretary announced this decision of the synod to the Dioceses and others concerned on April 14 for further action by the Diocesan Councils. Since then, the moderator has been working overtime to call the meetings of the Diocesan Councils and ratify the amendments which, by his own sworn affidavit, had not been passed by the Synod. The CSI Constitution Ch. 13, 2/c, require ratification by two thirds of the Diocesan Councils for the amendments to come in force. Only amendments passed by the Synod can be put to vote in the Diocesan Councils. The moderator is guilty of committing contempt of court; he desecrated the very honorable position that he holds as Bishop and Moderator of the Church of South India by falsely representing facts before the honorable court; he made the Diocesan Council members of the 24 dioceses look fools by misleading them into voting for an amendment that by his own sworn affidavit, had not been passed. He had no legitimacy, moral or otherwise to continue in the leadership of the CSI. The Moderator has been resorting to arm-twisting, intimidations and all sorts of illegal means to get these amendments passed by the Diocesan Councils as early as possible. In the Malabar Diocesan Council, it was brought up for consideration and announced as passed, when it was not even an item in the agenda of the Council. The Moderator was physically present to bulldoze this amendment in the Malabar Diocesan Council. 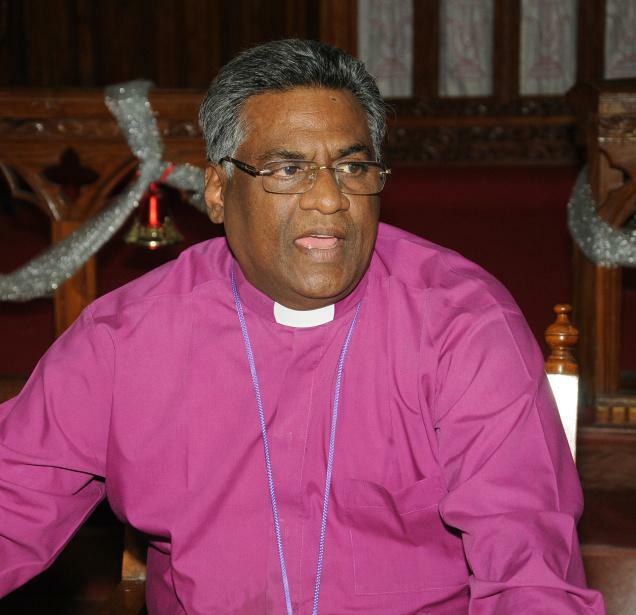 In the Diocesan Council of Kochi, the bishop introduced the amendment as passed by the Synod falsely representing facts or else making a fool of himself by believing the letter from the General Secretary. The bishop must explain and make his stand very clear. How do you deal with a moderator who utters blasphemous lies and makes a fool out of the believers? These incidents point to an extremely alarming state of complete subversion of all democratic processes, especially in the context of an indifferent and apathetic laity. Why this much of haste to get a few amendments passed which do not pose any life and death issue except that the serving moderator’s intention to continue in the same office for another term would be thwarted. He needs compliant chum has to be in the positions of Treasurer and General Secretary so that his misdeeds and misappropriations can be covered. In Dioceses, the Bishops need compliant officers. Thus, their interests coincide to allow also sorts of illegalities. The same interests are rallying around a bye-law which the Synod Executive proposed and subsequently, passed by the Synod in contravention of CSI constitution that all Officers are to be elected by ballot. The Bye-law addresses almost the same kind of concerns represented in the amendments to the constitution. Using these bye-laws which are against the very constitutional provisions of the CSI, elections were held in the Malabar Diocese; elections are announced to be held in the Cochi Diocese. Bishops and the moderator seem to be bent on taking the believers for a ride. The moderator must step down owning responsibility for this grave moral turpitude. If not, he will have to face criminal charges against fraudulent act of submitting false affidavit. We all make mistakes and as humans, Bishops also err. But, falsely representing facts by a sworn affidavit, calculated to cover the tracks is a very deliberate act of sin and it is an act of sin against the Holy Spirit and such a bishop cannot remain in office; he has lost all moral credibility to continue in this office. Or else the Synod Executive must meet and throw him out. Hope there will be remnant to stand up for the truth.